After Christmas holidays, I dropped my 4 year old off at my mom’s house for a few hours so I could work. He immediately ripped off his coat and boots. My mom and I talked in the entry for a few minutes while he played hopscotch on the tile floor. This time, none of our usual goodbye rituals worked. It took Oma’s full strength to keep him from chasing my van down the driveway. Separation anxiety. You’ve heard of it. I just gave a very detailed example of it, but most moms will have multiple stories of when their kids went through separation anxiety. 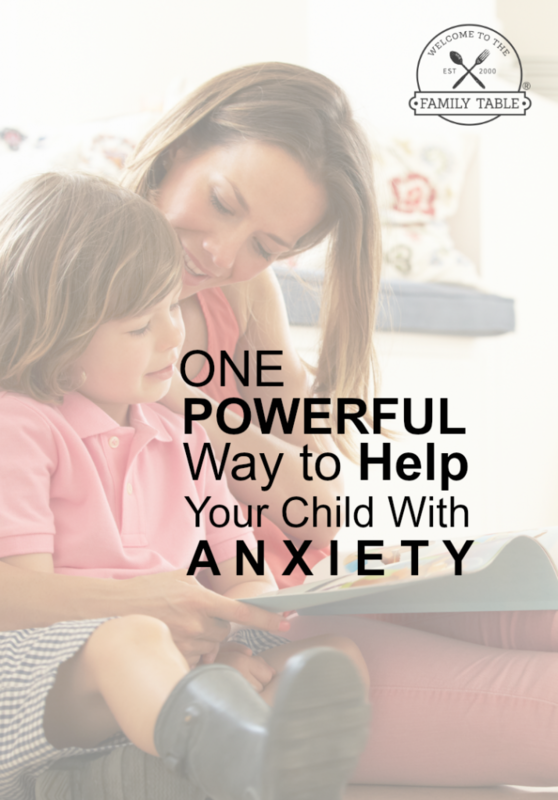 All children will feel separation anxiety at times, because it’s a natural part of brain development. It may show up as a baby screaming when dropped off in the church nursery. It could be a toddler refusing to go to Grandpa. Your preschooler might cling ferociously to your leg when you attempt to leave her at home with dad (so you grocery shop in peace). For the most part, this is healthy, because it indicates that healthy attachments have been made. Separation anxiety shows up most frequently in young children, but is not uncommon in elementary school kids. Children who experience it strongly in their early years might find that it gets triggered when they go to a sleepover as a teen, or even when they’re packing to go to college. As caregivers, we can reassure them that we will always come back for them. But the reality is that no one can truthfully make that promise except God. God is the only one who will always love our children, always guide their path, always provide refuge, and always be at their side. And with his little rock tucked in his pocket, he stepped bravely into school. This true story started into motion the publication of a fictional story named Quinn’s Promise Rock. In it, Quinn’s dad helps her through her worries by pointing to God as a rock. At the end of a long night, Quinn the Owl gets to take home a little promise rock, just like Emily’s son. The little rock reminds your kids of God but also works like a worry stone. Using a worry stone is a folk practice that helps soothe stress and anxiety. The act of rubbing it is self-soothing, much like nail-biting or thumb-sucking, but is healthy and non-destructive. 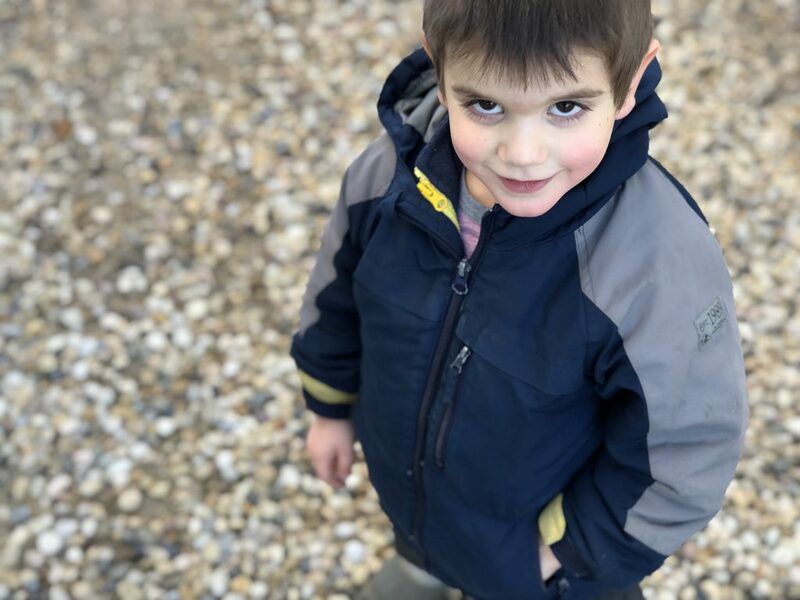 You can help your child understand connect the presence of God to a worry stone. 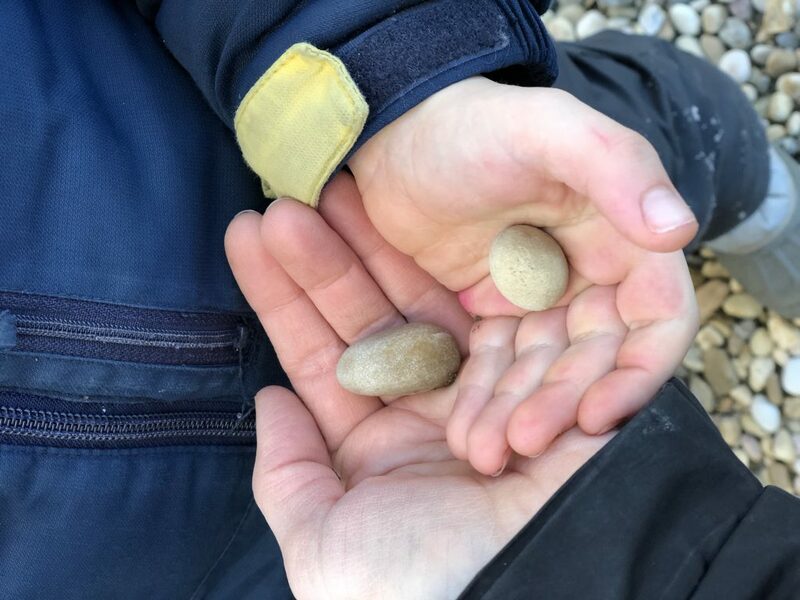 1) Have your child pick a rock that is small enough to fit in his pocket. Optional: Have him color it with markers or paint! 2) Tell your child that whenever he feels scared, he should put his hand in his pocket and rub the stone. The rock can remind him that God is with him and will help him. 3) Share some child-friendly Bible verses that will point your child to God. I encourage you to pray God’s words over your child each night as a blessing. This will help her memorize and internalize the words so when she’s worried the comforting verses will come to mind. Want to keep these verses handy for when you need them? Print off these verses with illustrations from Quinn’s Promise Rock for your kids! Click here. 4) To help your child really understand the meaning and purpose of the rock, I recommend picking up a copy of Quinn’s Promise Rock. The beautiful artwork and storyline will help your child remember the teaching that you have already shared. Today, when I drop my boys off, I use the promise rock idea to help my little guy move past his fears. They smile, touch a hand to their pockets, and continue forward in the knowledge that God loves them. GUEST AUTHOR: Christie Thomas is the author of Quinn’s Promise Rock as well as Wise For Salvation, an interactive devotional for preschoolers. She writes about faith and family at www.christiethomaswriter.com.